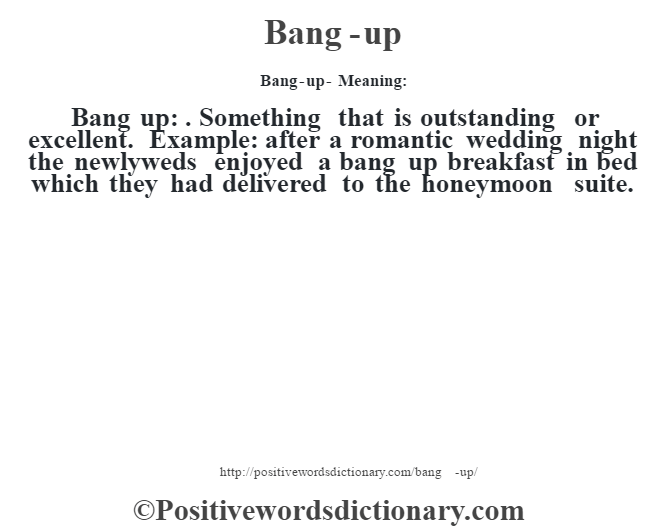 Bang up: . Something that is outstanding or excellent. Example: after a romantic wedding night the newlyweds enjoyed a bang up breakfast in bed which they had delivered to the honeymoon suite.